NO PURCHASE NECESSARY. Odds of winning depend on number of entries received; purchases do not increase chances of winning. VOID WHERE PROHIBITED. Open to select residents of MD, DC, PA, OH and NJ, 21+. Enter by 11/04. 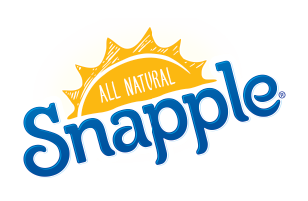 Sponsor is Snapple Beverage Corp., 5301 Legacy Drive, Plano, TX 75024. For complete details and Official Rules visit www.mysnapplemusic.com/sweepstakes. Limit 1 entry per person. '); jQuery('.maintagline').removeClass('hidden-xs'); jQuery('.tagline-mobile').removeClass('visible-xs').hide(); jQuery('.header .container-fluid').addClass('findme'); jQuery(".findme").wrap("